Locate Hwy. 20 running north to south, (Mariazell to Graz). Next, find the small village of Thörl. Quite close to an old castle, a road signed St. Ligen forks north. Follow this (paved) road 11.7 kilometer to its very end. There is a large parking and a nice lodge called Bodenbauer. This place can be recommended for an overnight stay. 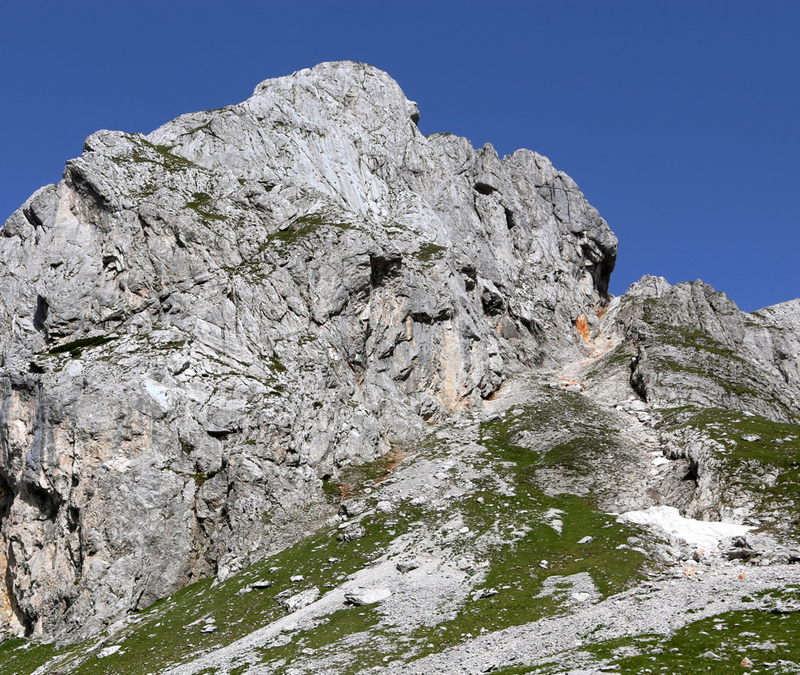 The location is N47.58027, E015.11301, elevation about 890 meter. Walk further along the small road towards the mountains. Fork right two times. The route is obvious and well marked with red/white paint. The path climbs up close to the cliff, then climbs nicely up into this small, alpine valley directly below the mountains on the south side. 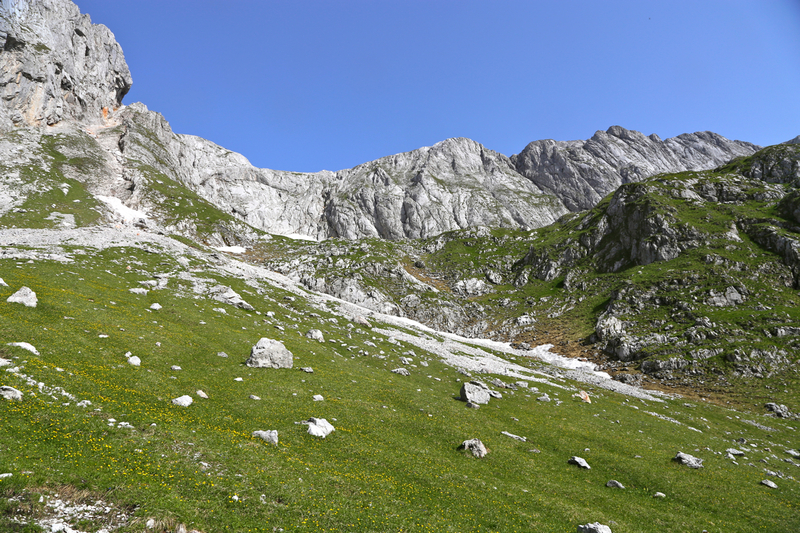 Eventually, the trail turns left and climbs grassy slopes in order to gain a high plateau just below the rock face. 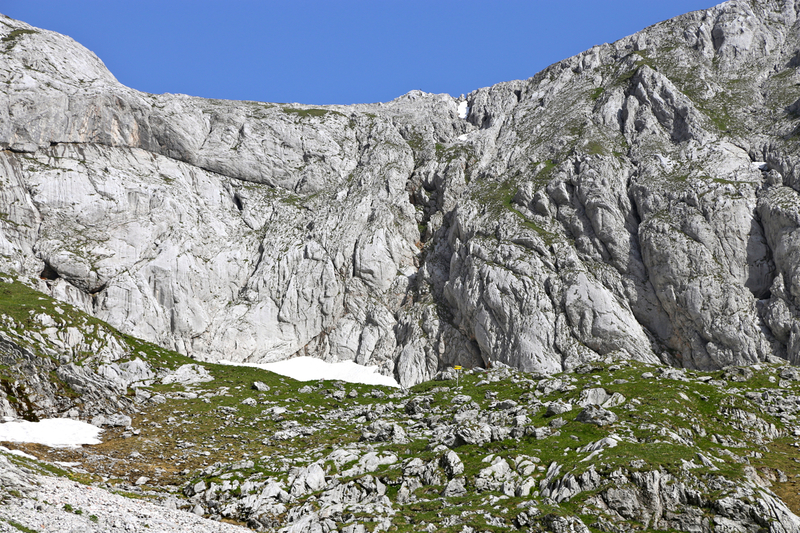 The route runs up a very distinct gully directly right of a prominent rock. 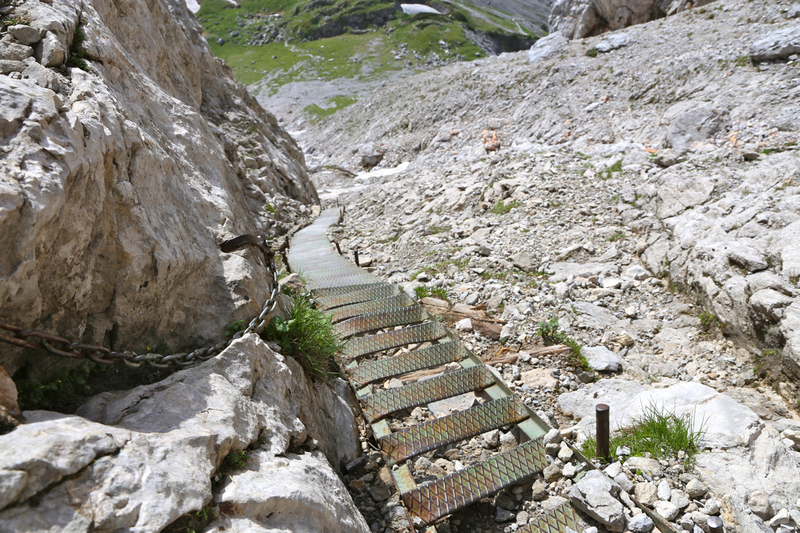 The route is extremely well protected, first a long staircase with a chain as handrail. Higher up, iron steps, cable and iron hand holds. A lot more than ordinary mountain hikers would need. 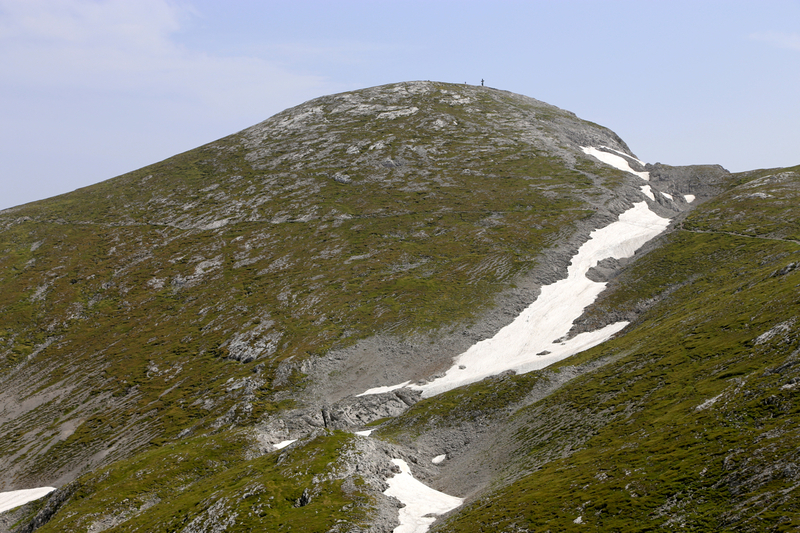 The route reaches easier terrain, crosses a small hill to reach the main saddle before a final, easy ascent to the summit. There is a small shelter/hut in this saddle. This route is YDS class 2+ due to the steep section, but no climbing is required. There is an alternative route that stays (YDS) class 1 (trail) all the way. 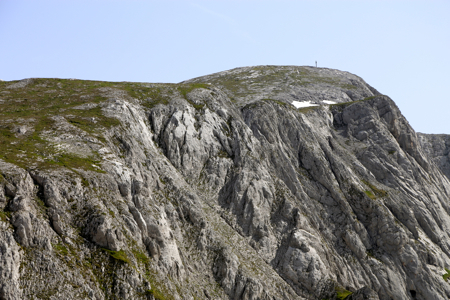 First walk from Bodenbauer to the hut Häuslalm. This hut is located in a saddle, you basically fork left at the first road fork. 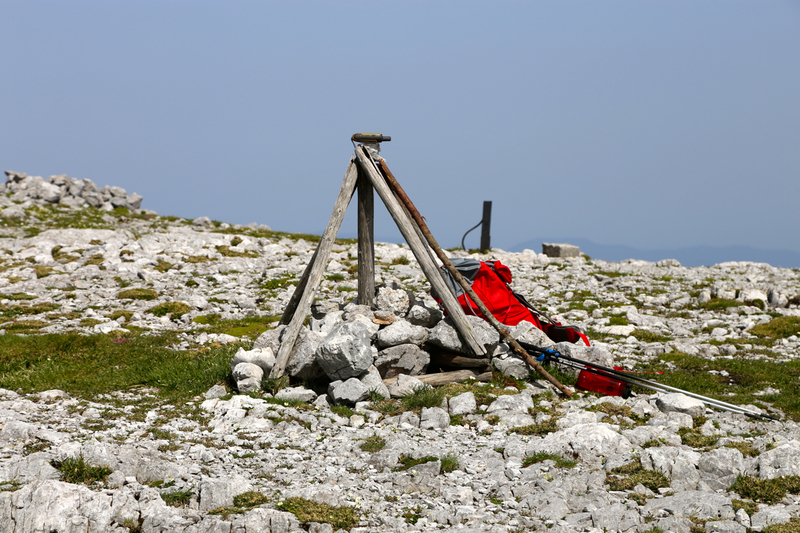 This hut is located at N47.58923, E015.07548, elevation about 1530 meter. 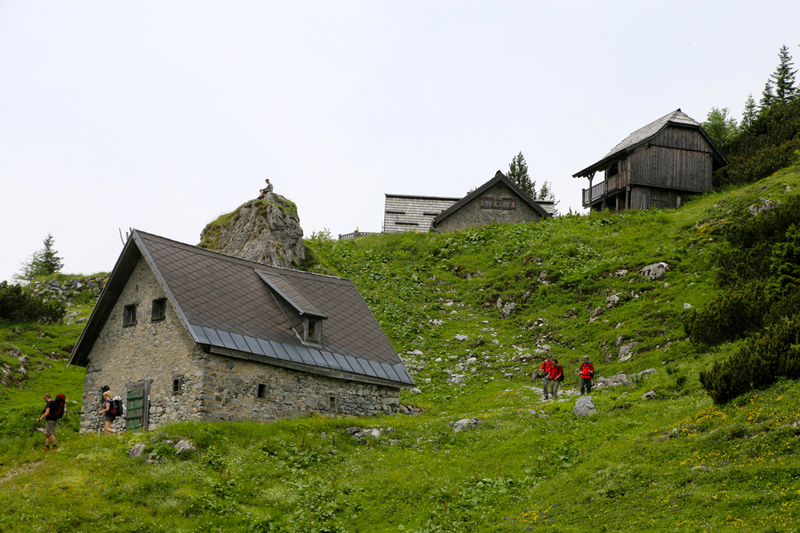 From this hut, a nice and well made trail climbs gradually, first up a small valley, then up and across more open mountain terrain to reach the main crest. 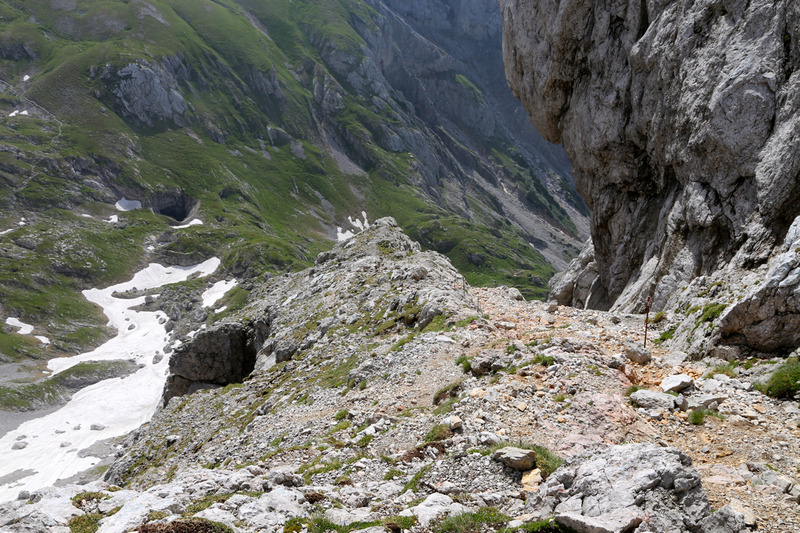 Next, this trail runs along the crest (that is more or less east), while avoiding the local summits. 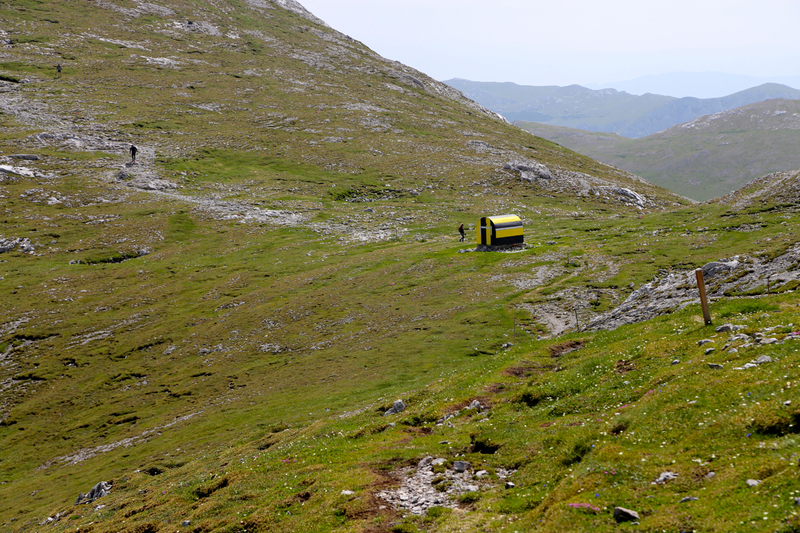 This route merges with the more direct route described above, at the small shelter/hut. 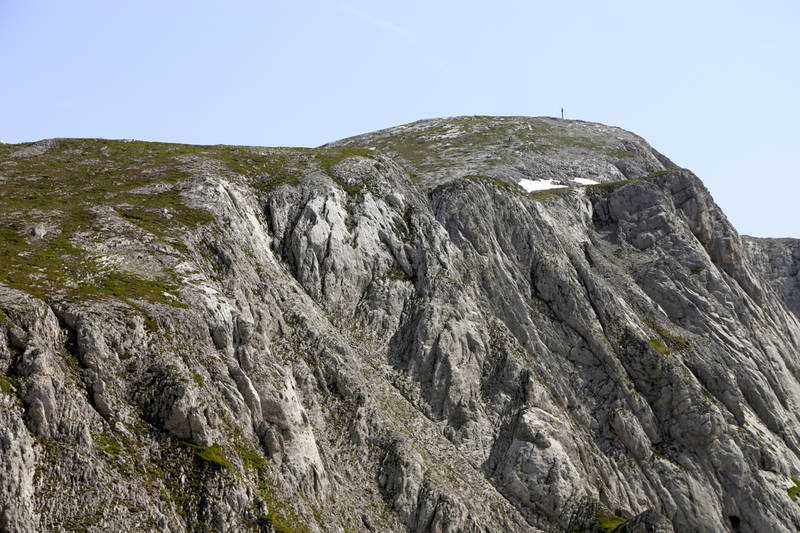 After climbing Hochstadl, I drove to Greith where I had a nice lunch (also breakfast), then I continued to Bodenbauer. Good place and a nice evening dinner. A local thunderstorm came around 1700 with heavy rain. Now, by 2000, the sky is blue and there is sunshine on the high peaks. I decided to wait for breakfast, it was scheduled at 0700, but was ready at 0645. I left at 0705. A nice morning and a nice trail took me up to a pretty enclosed alpine valley. Higher up, the steeper section turned out to be quite easy with massive amounts of cable, chains and steps. 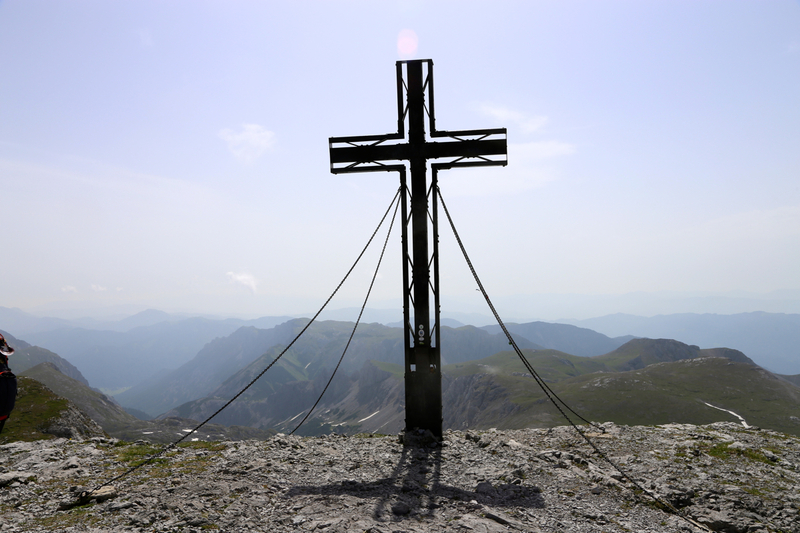 I arrived at the summit around 1030, there were several parties there, most likely arriving from other directions. After a 20 minute break, I headed back down. The weather seemed to hold and I decided to make this a loop hike. After 2 hours I was at the Häuslalm hut. A big, cold beer was just too nice to pass, a 15 minute rest was not bad indeed. 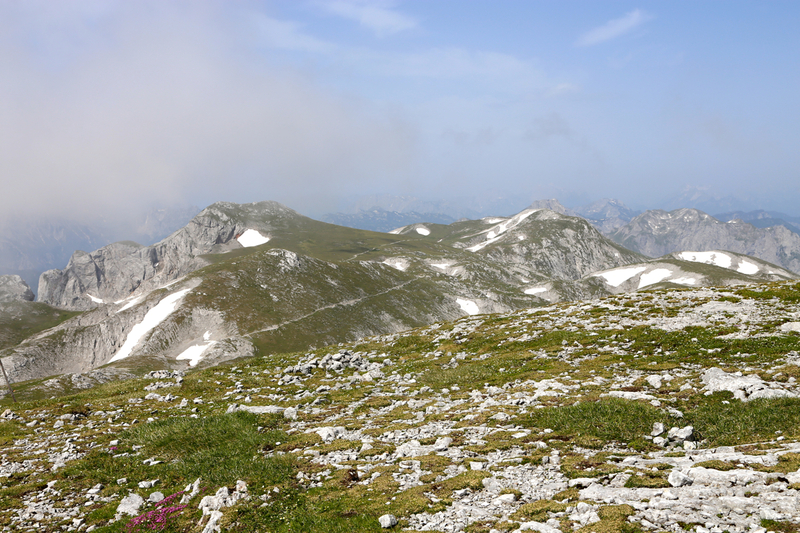 The clouds looked kind of omnious by now and at 1305 I continued hiking down towards the valley floor and Bodenbauer. I arrived back at 1405, the first thunder came just 2 minutes before I was back.